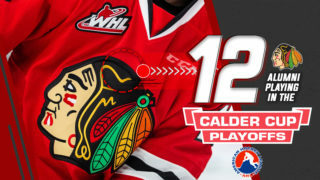 Dallas, Texas – The Western Hockey League is proud to announce two WHL players have been selected during the first round of the 2018 NHL Draft at the American Airlines Center in Dallas Friday night. 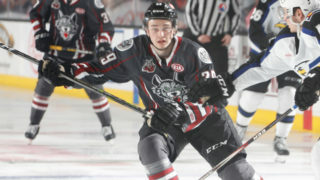 Spokane Chiefs defenceman Ty Smith was selected 17th overall by the New Jersey Devils, while Red Deer Rebels defenceman Alexander Alexeyev was selected 31st overall by the Washington Capitals. The NHL Draft resumes Saturday morning with the second round beginning at 9 a.m. MT on Sportsnet. In total, 13 of the 31 selections made Friday developed in the Canadian Hockey League this season. Through 52 WHL seasons, a total of 2,002 WHL players have been selected in the NHL Draft. #17 – Ty Smith (D) – New Jersey Devils; Spokane Chiefs; Lloydminster, Alta. 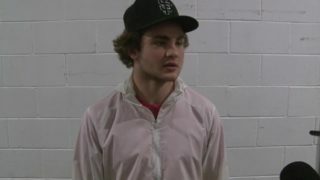 A product of Lloydminster, Alta., defenceman Ty Smith enjoyed a breakout campaign with the Spokane Chiefs, tallying 73 points (14G-59A) in 69 games in 2017-18. 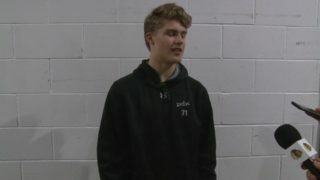 Selected first overall in the 2015 WHL Bantam Draft, the 5-foot-11, 176-pound blueliner took care of business off the ice as well, winning the Daryl K. (Doc) Seaman Memorial Trophy as the WHL’s Scholastic Player of the Year. 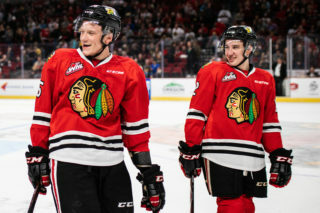 In his first trip to the WHL Playoffs, Smith performed admirably for the Chiefs in the first round, securing seven points (2G-5A) in seven games. Over the course of 137 career WHL regular season contests, Smith has 107 points (19G-88A) to his credit. 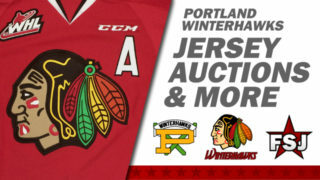 Additionally, Smith has plenty of international experience under his belt, having captained Canada’s U18 squad at the 2018 IIHF U18 World Championship, previously winning a 2017-18 Hlinka Memorial gold medal, and IIHF U17 World Championship silver medal. A product of St. Petersburg, Russia, defenceman Alexander Alexeyev battled adversity in 2017-18 and still managed to stack up 37 points (7G-30A) in 45 WHL regular season games. Selected 49th overall in the first round of 2016 CHL Import Draft, the 6-foot-4, 196-pound blueliner represented Team Russia at the 2017 CIBC Canada Russia Series, suiting up for both games played in WHL territory. In 86 career WHL regular season games spread across the 2016-17 and 2017-18 seasons, Alexeyev has collected 58 points (11G-47A). He brings with him additional international experience, having represented Russia at the 2018 IIHF World Junior Championship and 2016 IIHF World U18 Championship.